How were you introduced to volleyball? When I was in middle school, my sport was always football. My friends always joked with me about playing volleyball and it was always a thought, but we never went through with it. 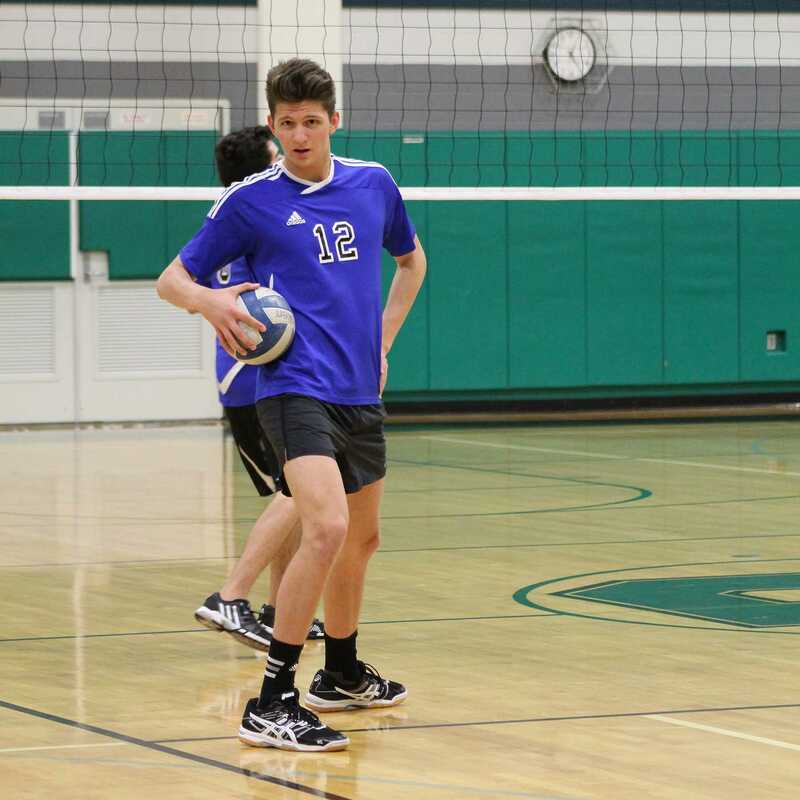 One day, Mr. [Adam] Steele, came up to me and talked about playing volleyball. He said that since I was tall, I could definitely play volleyball and I could be really good. While this did intrigue me, I did not want to do it unless my friends did it. We all talked and we actually went through with it. If it were not for my friends, I would never have picked up volleyball. What made you realize you had potential? It really helped that I was taller and stronger than everyone we played against. In my first season in middle school, we went undefeated and I was having a great time with my friends dominating other teams. I got to high school and everyone got taller and stronger whereas I was just having a good time. I realized I needed to get into the weight room and practice harder than everyone else. I decided to join a club team to see if I could play to the level of other serious players and I did. In fact, when I was a sophomore [16 years old], I was able to play on the 18’s team. I realized that I was good and I could compete with the older guys. I knew at that point I could play volleyball in college. Who helped you become the player you are today? Steele. I do not know where I would be without him. He has helped me become a better volleyball player and has helped me throughout this whole process. I was able to sit down with him and write letters to the coaches that were interested in me. Another person who helped me was Liam [Cohen] ‘18. Liam is a really good player. He is extremely talented and when we lost him to Tiferet my sophomore year, I knew I would have to step up my game and become a leader. While we did miss a great player, I was able to become the star of the show and help lead the team. I cannot forget my club coach. When I played for the 18’s at 16 years old, I was not starting and I was not getting a lot of time, but I was making a lot of great plays. He pushed me to become a better player and work harder. I learned never to settle for success and I constantly need to work on my game. I cannot thank all of these people enough. What colleges are interested in you? Harvard, Stanford, Princeton, NYU, and USC. What is the hardest part about being recruited? Throughout this process, I have had to talk with a lot of coaches. It is very hard to know the right things to say when you meet them. When I went to the USC vs. Harvard game, I told the Harvard coach I was coming and he wanted to meet me after the game. Well, Harvard lost and the coach was not in a good mood. It was really hard to talk to him and I had to be very careful about the questions I asked him. One stupid question and he could have just left. That was the scariest interview I have ever gone through. My heart was racing and it did not feel real. Usually I am a very good speaker, but these coaches are judging me 24/7 and I have to be perfect all the time.